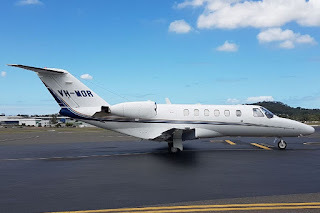 As I was writing the Blog post above, I note with interest that late on Saturday 30 June, Brisbane-based Cessna 525A CitationJet2 bizjet VH-MOR is flying to Emerald Airport from Archerfield via Brisbane. 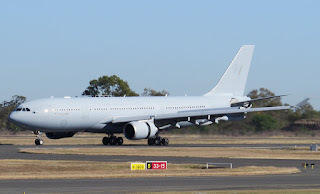 It is due to depart back to Brisbane and Archerfield later in the evening. 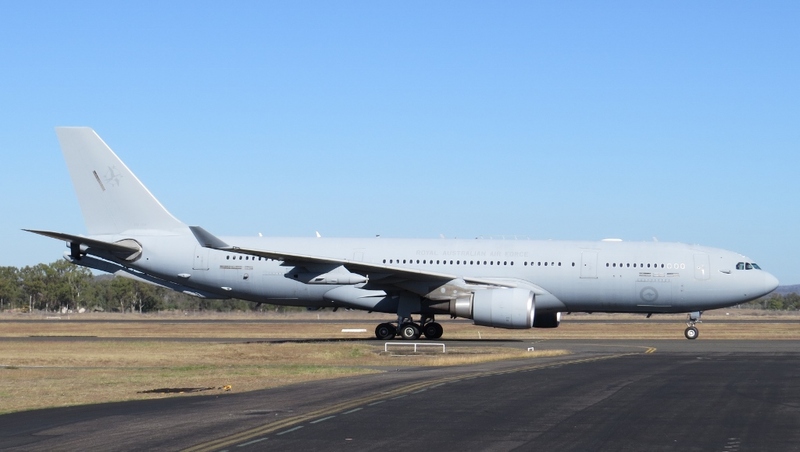 Meanwhile, VH-MOR appears to have continued flying once-a-week from Archerfield and Brisbane to Moura each Wednesday, returning on Thursday. 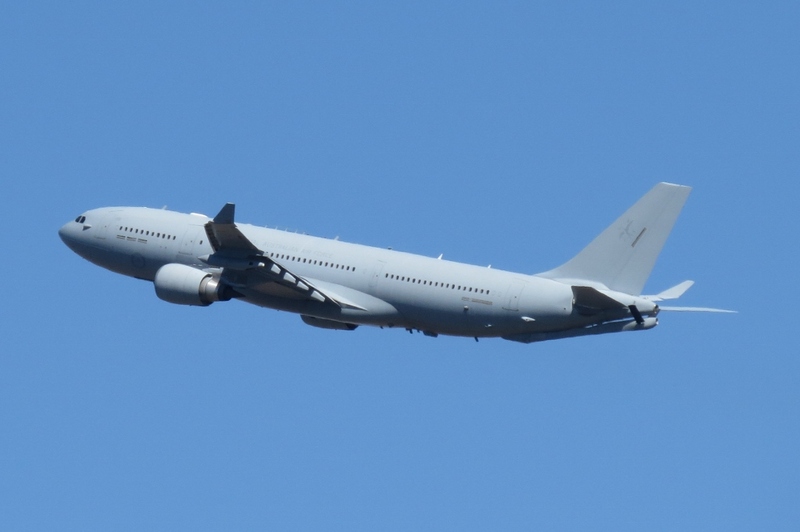 It appears to have completed these flights at least over the last two week. Finally, earlier on Saturday 30 June, Gippsaero GA8 Airvan VH-EHS was noted flying West of Emerald through Central Queensland heading North. While Australasian Jet Piper PA-31-325 VH-ZMJ was due to fly into Emerald Airport from Archerfield but ended up returning to Archerfield. 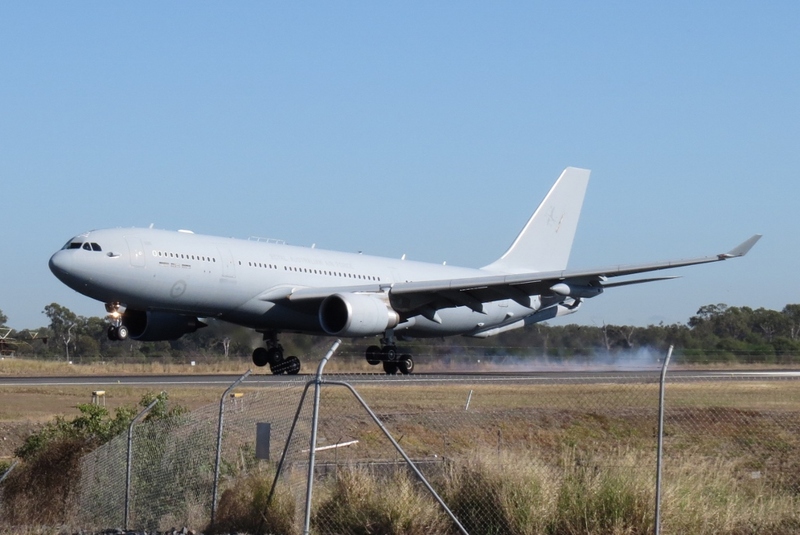 It then flew into Mackay Airport before continuing to Ingham. 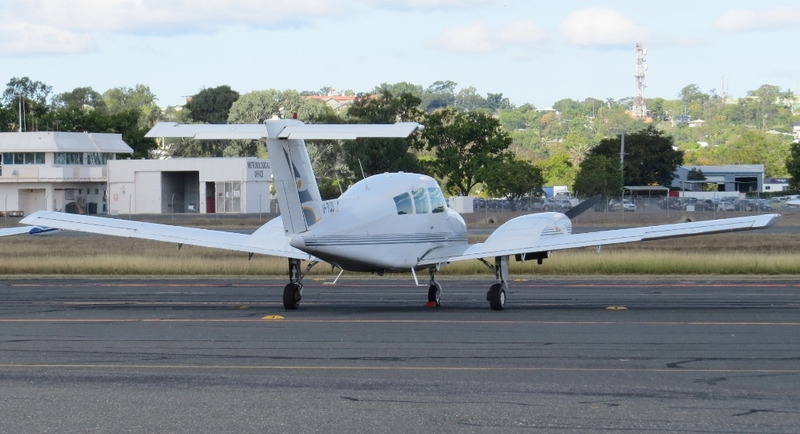 While up at Hamilton Island Airport, on Saturday 30 June, South Australian-based Piper PA-46R-350T Malibu Matrix VH-ZXJ arrived from Aldinga via Charleville Airport. And both arriving into Hamo on Friday 29 June was Schofields Flying Club (of New South Wales) Beech 76 Duchess VH-HJS from Rockhampton Airport (where it is pictured below) and Hawker Beechcraft G58 Baron VH-EZD which arrived from its Monto base. 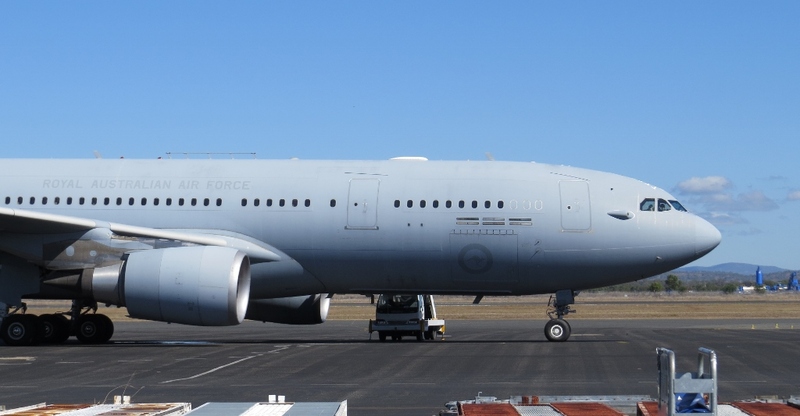 All three seem to be staying for at least the night. 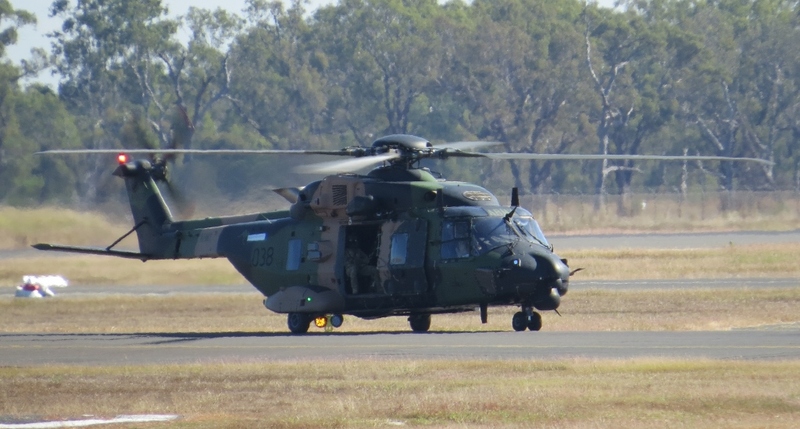 A surprise visitor into Longreach Airport late on Friday 29 June with Careflight (NT) Hawker Beechcraft 400A bizjet VH-EIH arriving directly from Sydney. 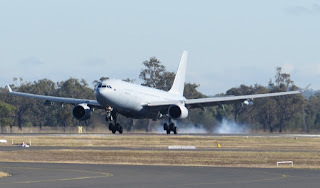 It had arrived into there from its Darwin base via Alice Springs and Broken Hill over the course of Thursday 28 June and Friday 29 June, and was presumably heading 'home'. It later departed to Darwin and was noted using the flight number and radio callsign of “Careflight 44”. 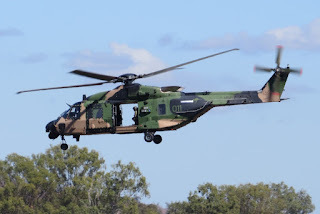 VH-EIH is one of three Raytheon / Hawker Beechcraft 400A corporate bizjets that Careflight operate in the Northern Territory alongside an Agusta AW139 helicopter and six Raytheon / Hawker Beechcraft B200 King Airs. 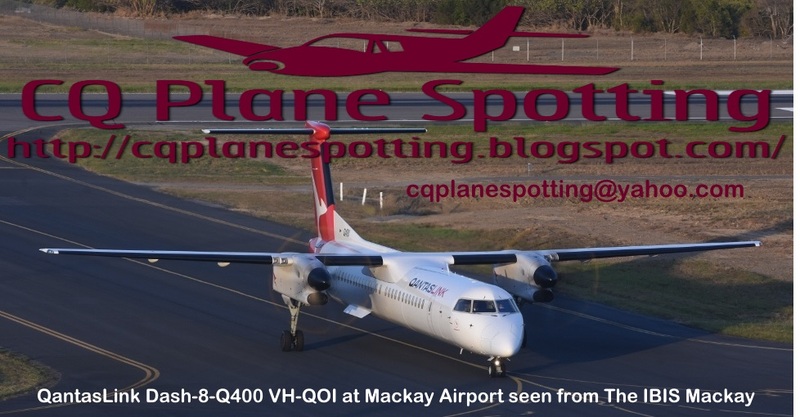 Of interest, also at Longreach Airport but on Thursday 28 June, the familiar sight of Gulf Coast Aviation Cessna 510 Citation Mustang bizjet VH-KXM was back, calling in from Cairns and Vanrook Station and later departing to Bankstown. 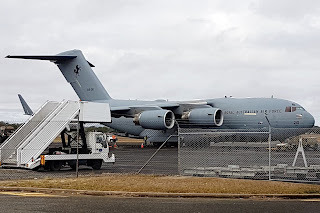 Meanwhile, at Rockhampton Airport, there were a couple of interesting arrivals very late also on Friday 29 June, which we presume were on medical retrieval flights. 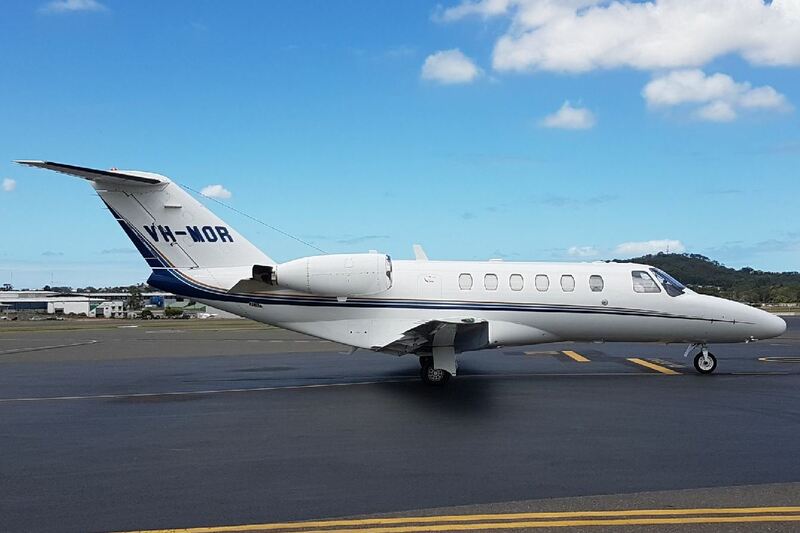 Business Aviation Solutions Dassault Mystere Falcon 50 VH-FJQ arrived from the Gold Coast and later departed directly to Auckland in New Zealand. 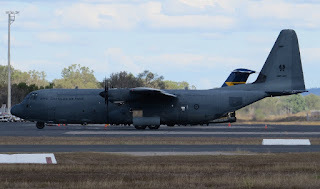 While the Queensland Government Airwing (State of Queensland) Raytheon B300 Super King Air VH-SGQ completed a return flight from and back to Brisbane. 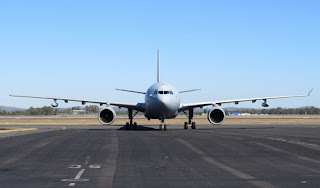 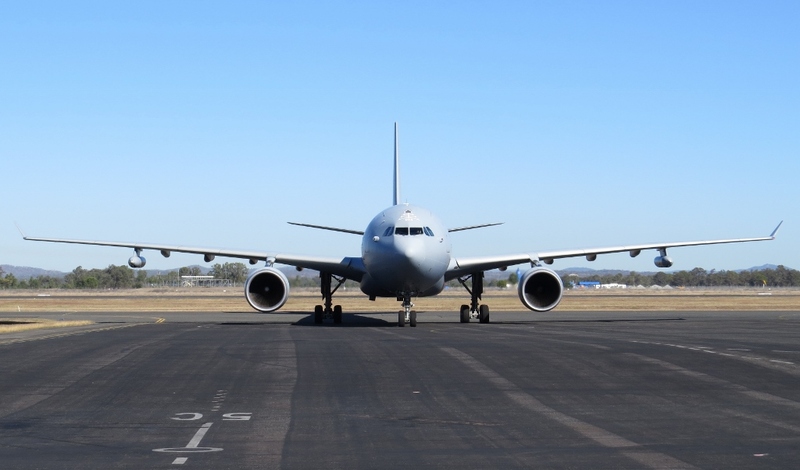 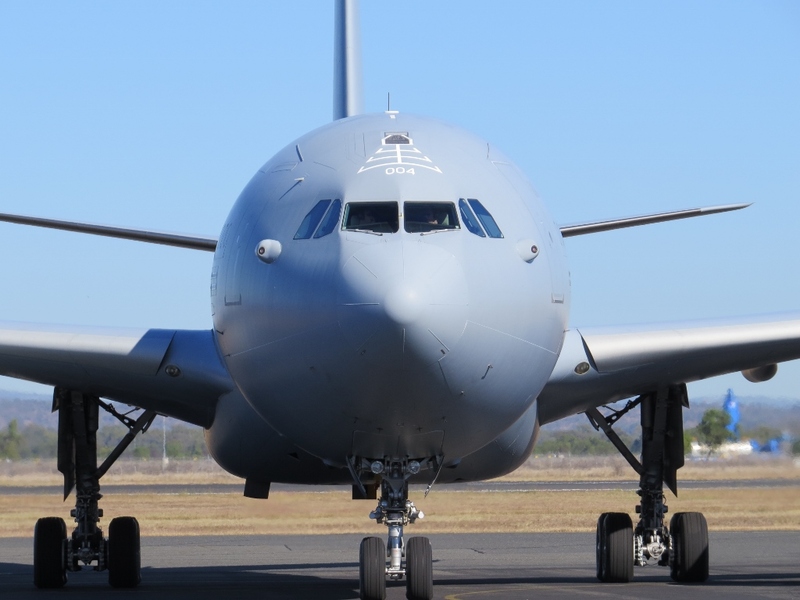 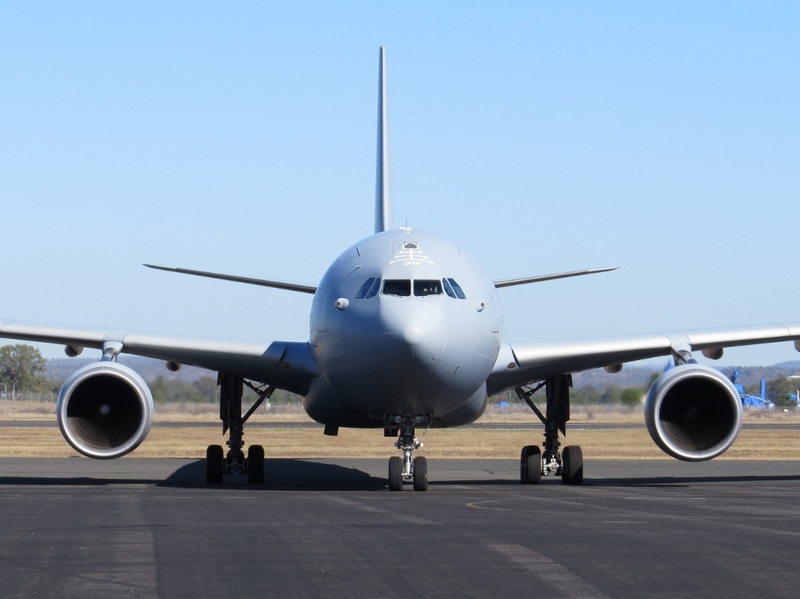 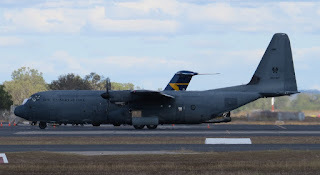 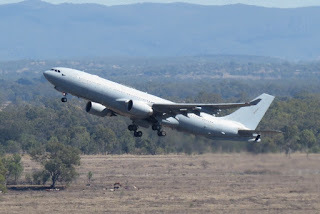 On Saturday 30 June, the pack-up continued as the joint Military Exercise Hamel 2018 began wrapping up and at Rockhampton Airport, there was another pair of nice Royal Australian Air Force (RAAF) transport aircraft that called in. 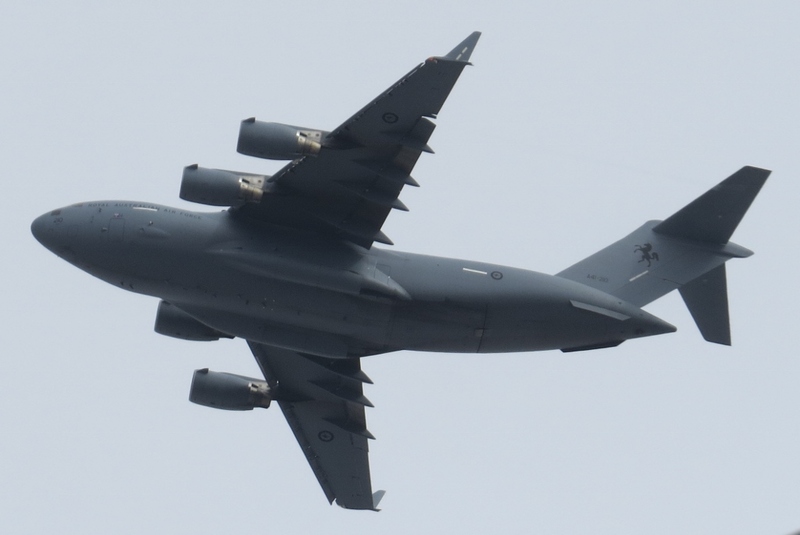 During the morning, (RAAF) Boeing C-17A Globemaster III A41-210 made a surprise arrival, coming up from RAAF Base Amberley as "Stallion 42". 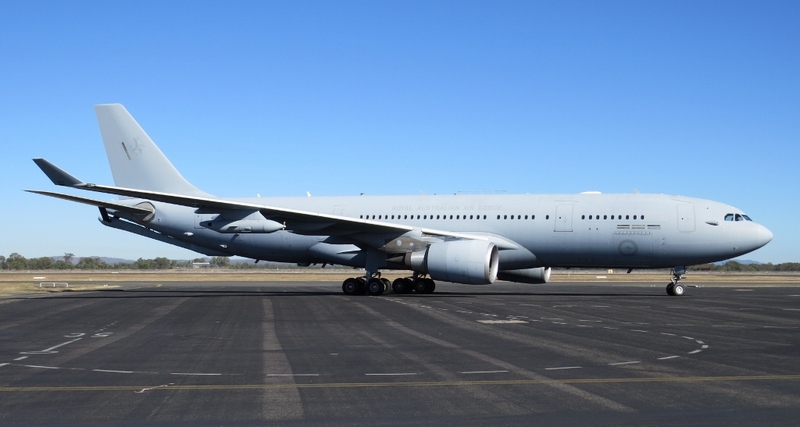 After loading some equipment, it departed to RAAF Base Edinburgh in South Australia. 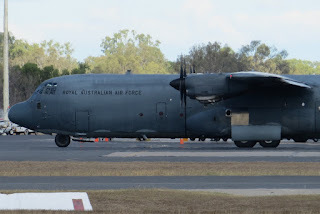 A little later on Saturday 30 June, RAAF Lockheed C-130J-30 Hercules transport aircraft A97-441 was noted also visitng Rockhampton Airport. 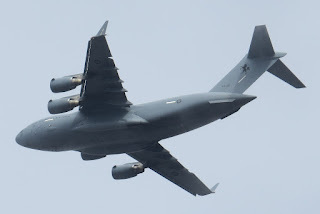 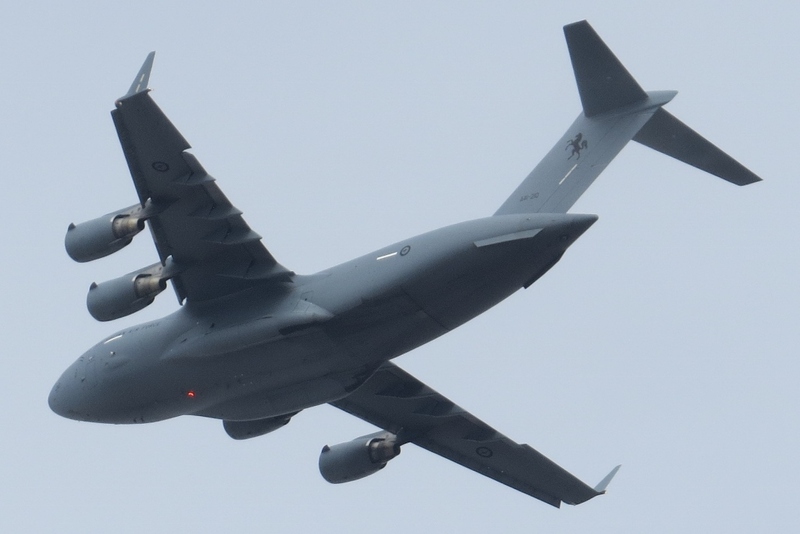 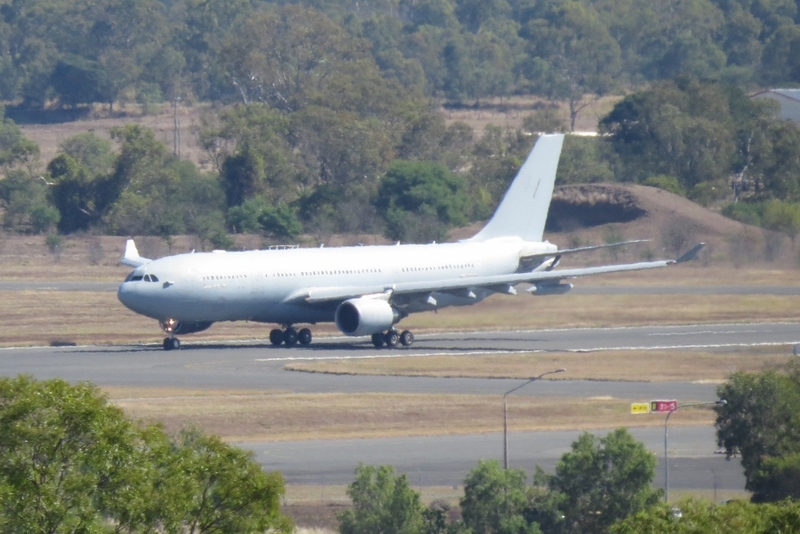 It arrived from and then later departed back to RAAF Base Richmond. 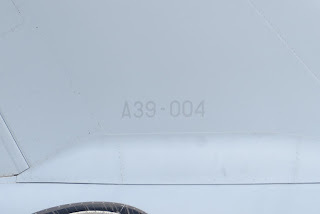 A97-441 was noted using the radio callsign of "Trojan 76". 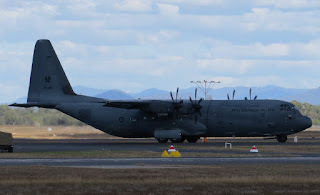 Finally, the United States Marine Corps (USMC) Lockheed KC-130J Hercules refuelling aircraft 166763 was heard possibly flying through Central Queensland airspace once again. 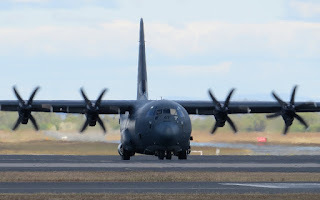 It's exact movements are not known but it could have possibly been involved with return to Darwin of the USMC Bell Boeing MV-22B Osprey tilt-rotor aircraft following their deployment to Townsville to participate in Exercise Hamel 2018. The Herc continues to use the radio callsign of "Sumo 55". On Friday 29 June, and with the joint Military Exercise Hamel 2018 in its final days, the pack-up has commenced with Rockhampton Airport playing host to visits by Royal Australian Air Force (RAAF) transport aircraft and the final departure of the pair of deployed C-27J Spartans. 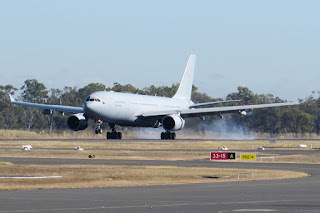 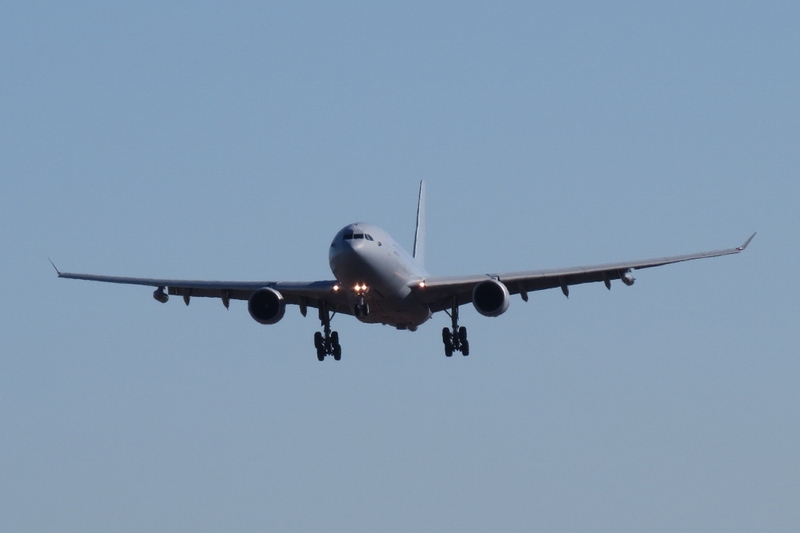 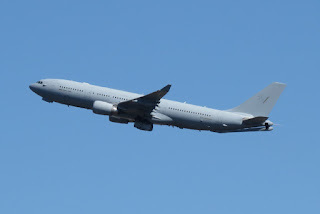 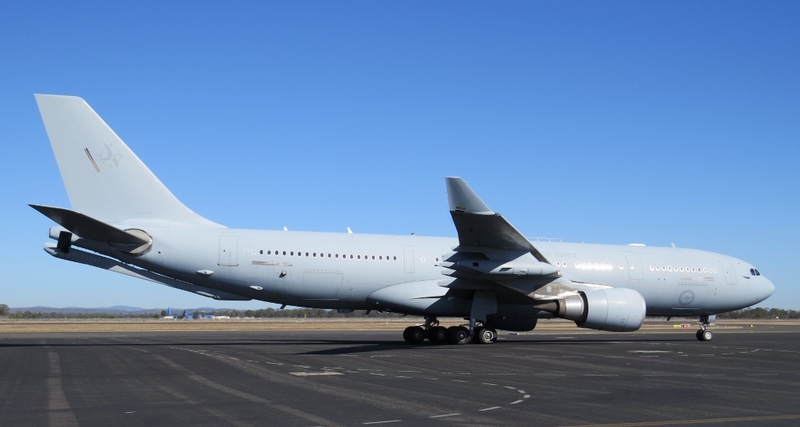 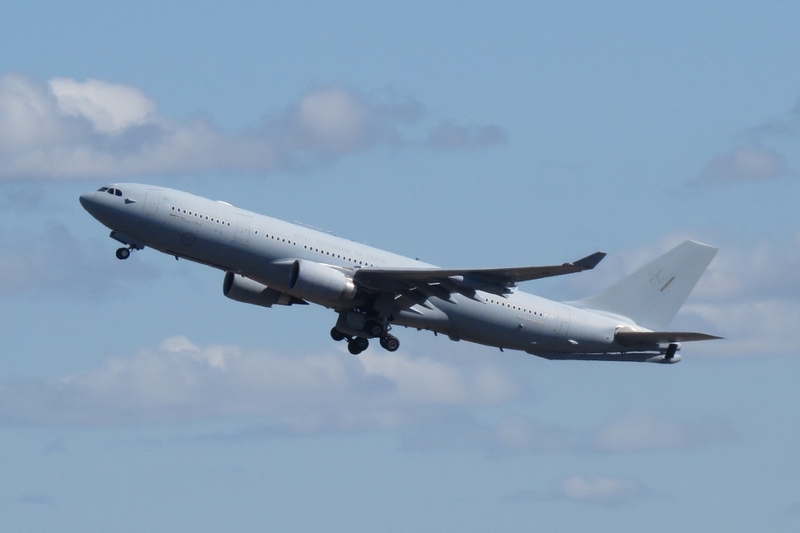 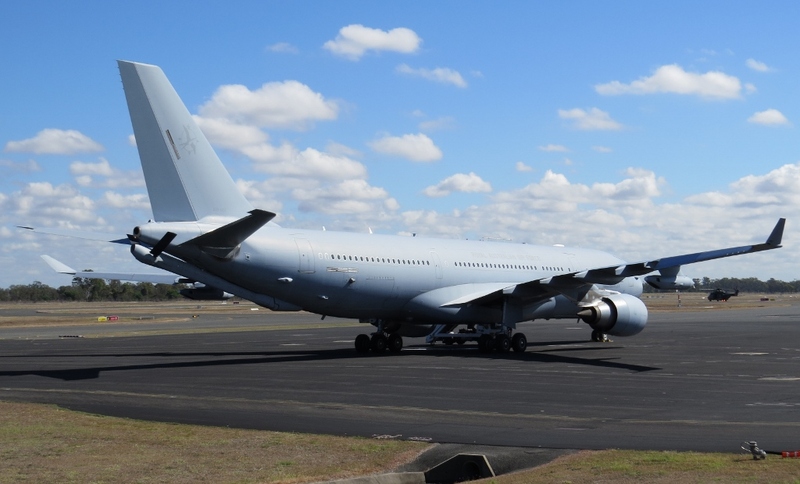 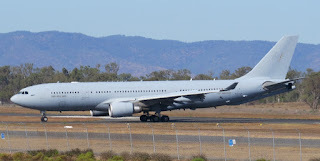 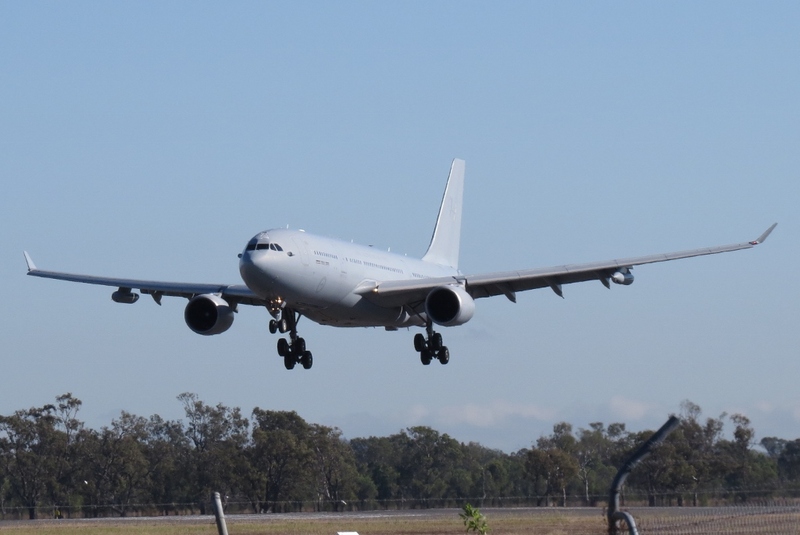 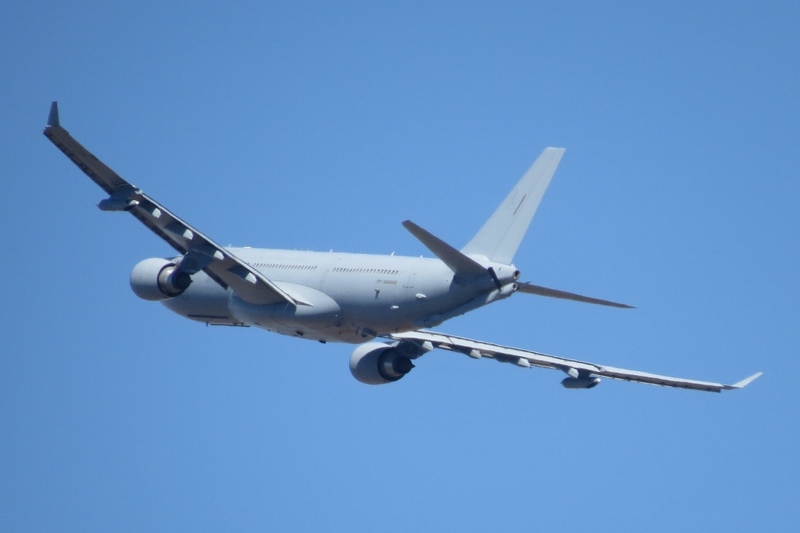 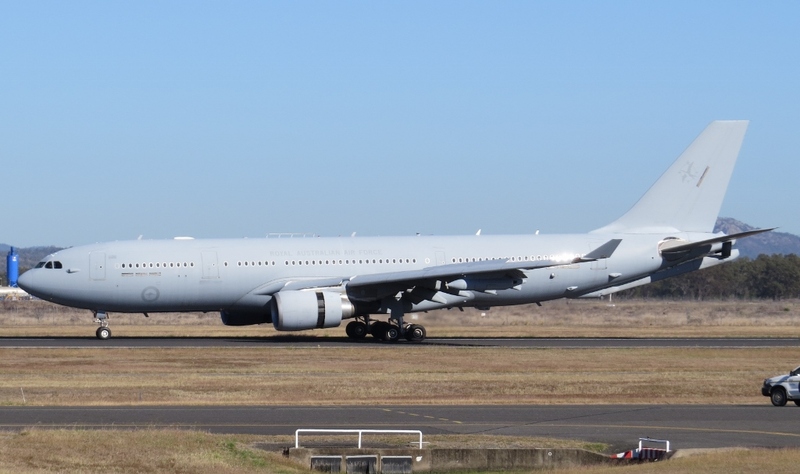 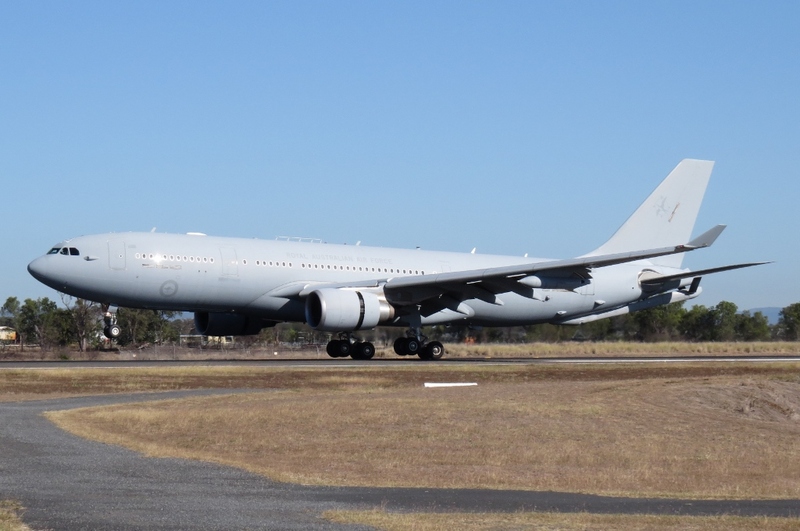 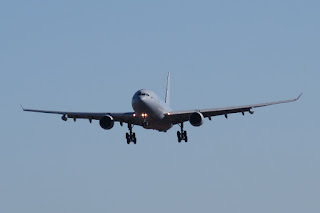 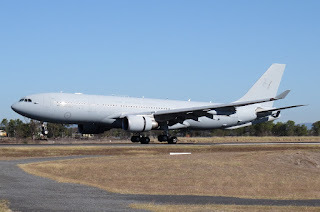 During the morning, RAAF Airbus A330-203 / KC-30A Multi Role Tanker Transport (MRTT) A39-004 arrived from RAAF Base Amberley as "Dragon 21". 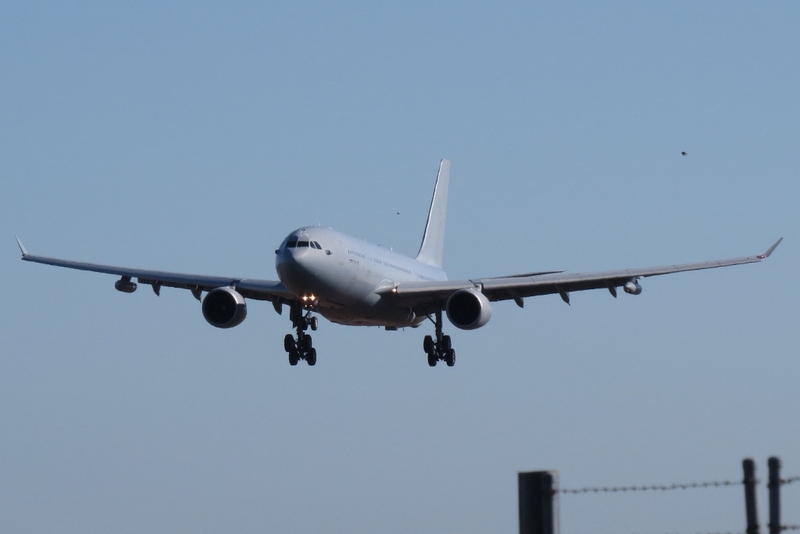 It was promptly loaded with what looked to be a full flight of personnel and their bags and equipment before it then departed direct to Sydney. Soon after the MRTT departed, RAAF Lockheed C-130J-30 Hercules transport aircraft A97-467 arrived from RAAF Base Richmond as "Trojan 76". After collecting several pieces of equipment, it departed back to Richmond. 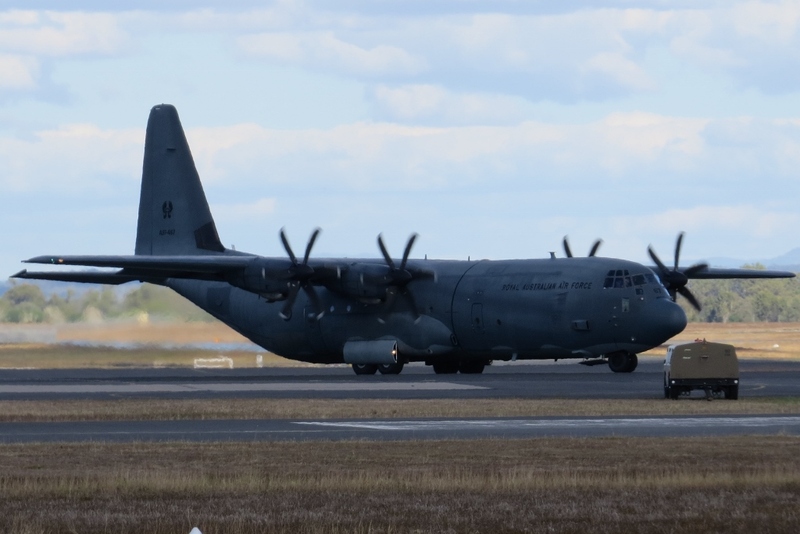 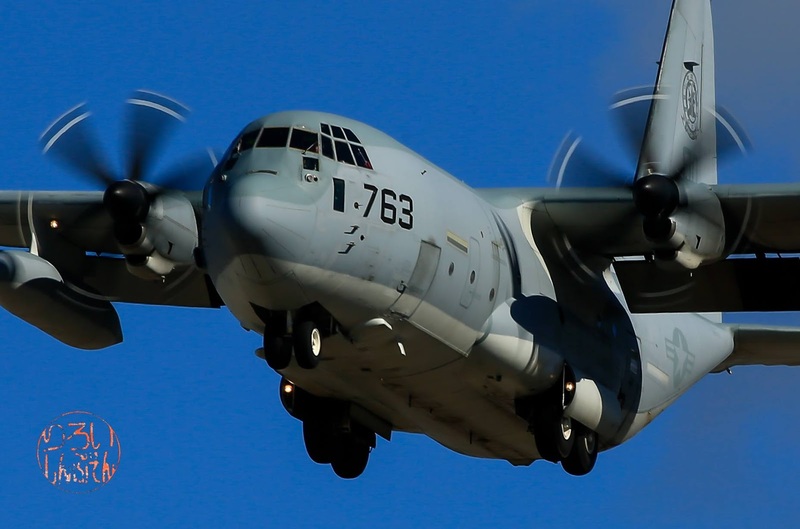 It is believed that the Herc collected equipment in support of the visiting pair of RAAF Alenia C-27J Spartan transport aircraft which also both departed Rockhampton Airport for good on Friday 29 June. A34-003 as "Wallaby 41" and A34-010 "Wallaby 44" were both noted departing for RAAF Base Richmond with one of the pilots noting that they were due not to return. It's also worth noting that on a relatively quiet day of flights on Thursday 28 June, RAAF Beech B350 Super King Air A32-439 was noted making an early morning departure from Rockhampton Airport for Townsville as "Dingo 10". 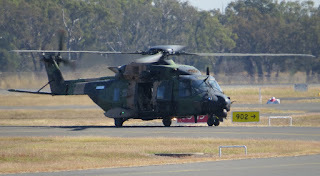 It had earlier arrived into Rocky from the South. 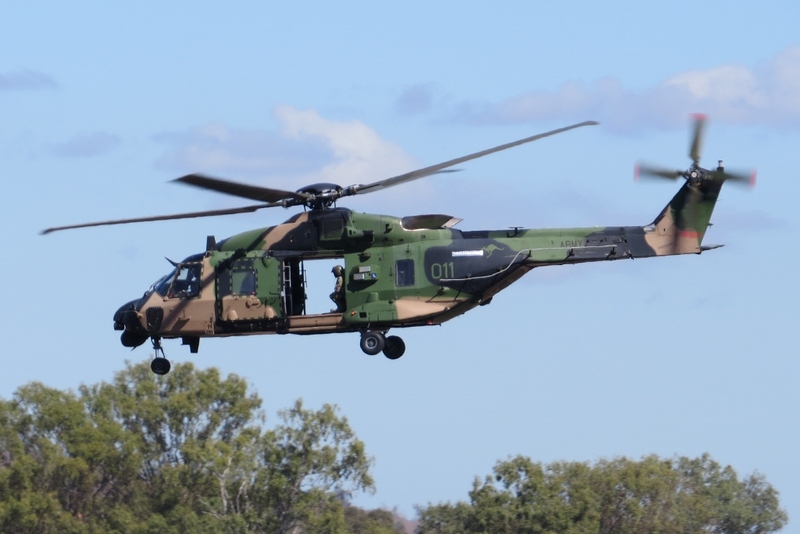 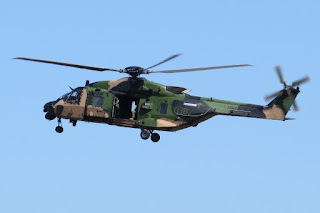 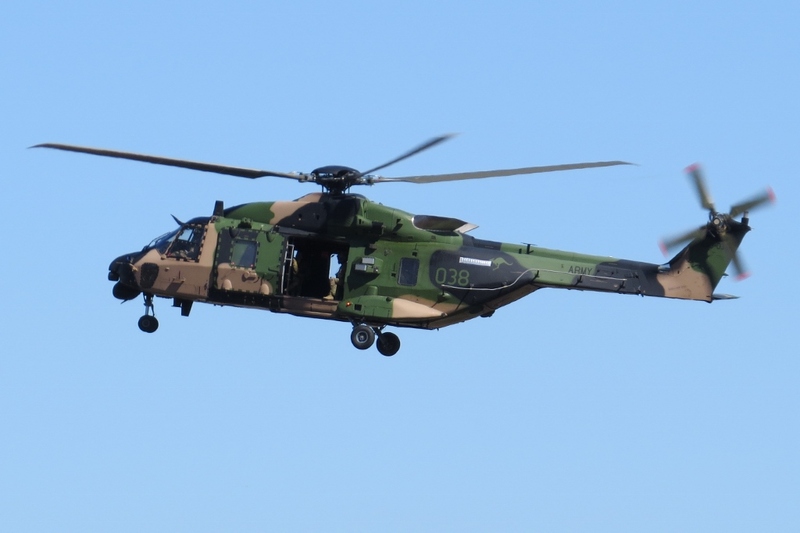 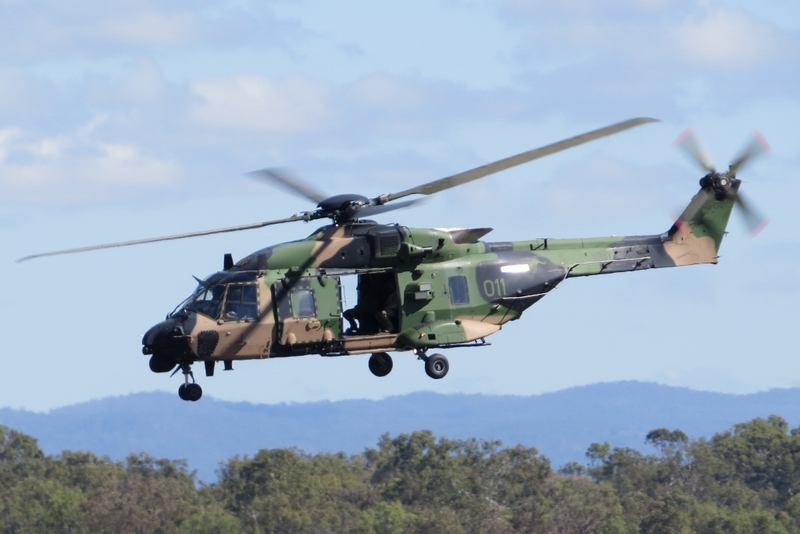 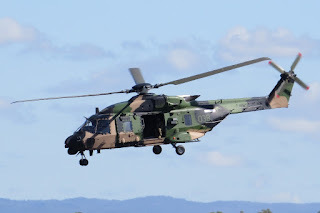 Meanwhile, while she was at Rockhampton Airport on Friday 29 June, local plane spotter Kayanne H also managed to capture a couple of photos of Australian Army NH Industries MRH-90 Multi-Role Helicopters A40-011 "Warhorse 11" and A40-038 "Warhorse 12" which flew in from and then later departed back to the Shoalwater Bay Training Area (SWBTA). Of interest, A40-011 also completed at least one flight in and out of Rockhampton Airport also on Thursday 28 June also as "Warhorse 11". Sincere thanks to local plane spotters Kayanne H and 'IAD' for taking the time to capture and send through these great photos! 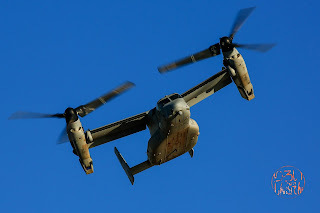 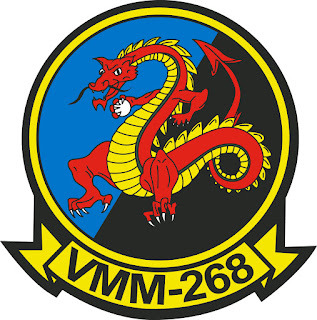 On Tuesday 26 June and again on Wednesday 27 June, there was as many as three United States Marine Corps (USMC) Bell Boeing MV-22B Osprey tilt-rotor aircraft noted completing operations within the Shoalwater Bay Training Area (SWBTA) as the joint Military Exercise Hamel continued. 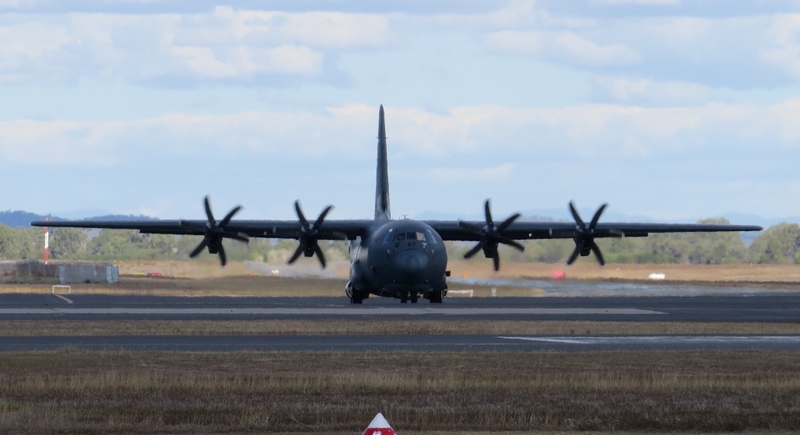 The Ospreys were noted flying down from Townsville and were believed to have landed at the Samuel Hill Airfield with Shoalwater Bay. They were due to fly to Rockhampton Airport on both Tuesday and Wednesday, however, it is our understanding that they were prevented from landing at Rockhampton Airport by Airport Management and thus departed Shoalwater Bay and returned to Townsville. As we reported last week, four of the Osprey tilt-rotor aircraft of the USMC's Marine Medium Tiltrotor Squadron 268 (VMM-268) "Red Dragons" flew across to Townsville last Wednesday 20 June from Darwin, where they have been deployed recently as a part of the 7th Marine Rotational Force Darwin. It is believed they returned to Darwin over the course of Friday 22 June and Saturday 23 June. It is believed that three (possibly four) Ospreys flew back into Townsville earlier this week. Photos from Townsville show that the four Ospreys that have graced the skies over the previous couple of weeks are 168345 / YQ-01, 168307 / YQ-02, 168290 / YQ-05 and 168608 / YQ-09. USMC Lockheed KC-130J Hercules refuelling aircraft 166763 continues to provide support to the Ospreys with it noted departing the Samuel Hill Airfield for Townsville on Wednesday 27 June. 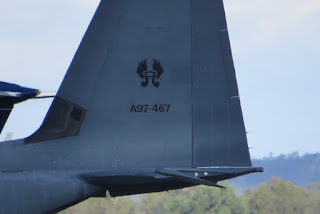 The Herc continues to use the radio callsign of "Sumo 55". Sincere thanks to the Townsville plane spotters for their help in preparing this post!